Middleburg is a town in Loudoun County in Northern Virginia, United States. In the 1900’s, this area became an attraction for foxhunting and steeplechasing and the village soon earned a reputation as the “Nation’s Horse and Hunt Capital”, providing prominent visitors from across the United States the thrill of an exciting horse race. With an equestrian reputation, Middleburg provides a wide variety of horse related activities. Glenwood Park, dating back to 1911, is host to many year round events. The oldest horse show in America, The Upperville Colt and Horse Show is held annually in June and brings horse fans from across the nation. They also host the Memorial Day Weekend Stable Tour, which is a rare opportunity to visit these prestigious stables that are found here in the area’s finest estates. Middleburg is the home of the 15,000-square-foot National Sporting Library. The library is dedicated to promoting, preserving and sharing the art, literature and culture of field sports, angling and equestrian. Founded in 1954, they house over 26,000 books dating back to the 16th century. Thoroughbred Heritage, a published online resource, created network by the library as another venue of information in regard to these topics. Listed on the National Register of Historic Places, Middleburg’s Historic District comprises of their 19th century center of town. Established in 1728 by Joseph Chinn, the oldest building is the Red Fox Inn. This inn is billed as the oldest, continually operated inn in the United States. Green Pastures, Benton House (also known as Spring Hill), Huntland Estate, Mill House, the Burrland Farm Historic District, General William Mitchell House, Unison Historic District, Welbourne Plantation, and Much Haddam House are inclusive of Middleburg’s 160 historic buildings on the National Register of Historic Places. 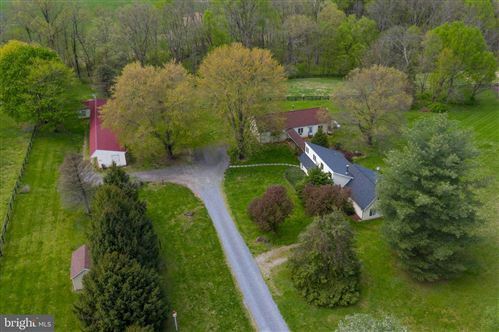 Compared to the beautiful countryside of England, less than an hour’s drive from the nation’s capital, past the gridlock of Beltway traffic and past the developments of tract housing, strip malls and office parks, Middleburg is surrounded by stunning landscape, low stone walls, and picturesque farms where some of the finest horses are raised. It is in the heart of horse country. 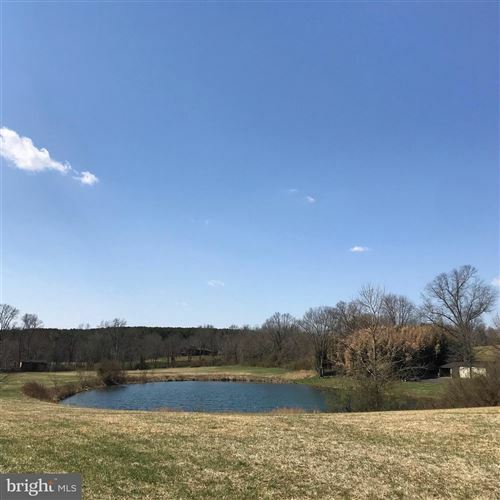 You’ll find farm houses and estates with horses and cattle grazing in rolling pastures against the backdrop of the gorgeous Blue Ridge and Bull Run Mountains. With the perfect climate for producing the best grapes for tasteful wines, Vineyards are becoming a part of this tranquil scenery. With a population of 632 residents, this small community surely boasts its pride in American history and being the rural entity that it is. Middleburg was established in 1787 by Revolutionary War Lieutenant Colonel and Virginia statesman, Leven Powell. The land purchased for $2.50 an acre was sold by Joseph Chinn, first cousin to George Washington. Originally known as “Chinn’s Crossroads”, Middleburg is the midway location between Alexandria and Winchester, being a staging point for weary travelers between the two points, on the Ashby Gap trading route, now Route 50. As part of the American Civil War, the Battle of Middleburg took place here on June 17th, 1863 lasting until June 19th, 1863. The combined battles, Middleburg, Aldie and Upperville, were important cavalry engagements at the commencement of the Gettysburg Campaign. They were fought by Federal cavalry seeking the location of the Army of North Virginia.